Minimal don Umek has certainly been around the block and with releases on labels such as Chris Liebing's CLR, one can safely say that he knows a thing or two about techno. The man's speciality is of the minimal variety and this latest EP on his own 1605 Music Therapy is as effective and floor-friendly as the rest of his output. 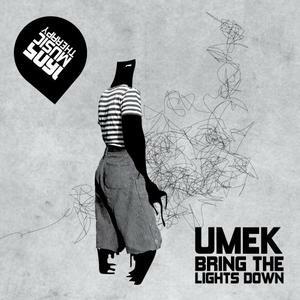 "Bring The Lights Down" is a true techno-house hybrid, the sort of tune you want to walk into a rave to and exactly the kind of groove that'll get you moving to its slicing percussion work. Tool banger.